If that’s you, you’ve found that right place! I urge you to take a seat and hear me out for the next five minutes. 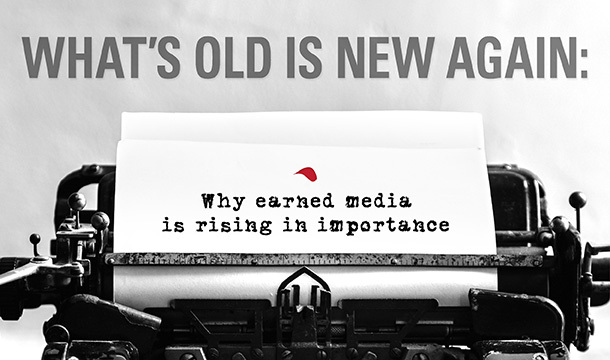 Earned media may be the biggest opportunity you’re missing out on. There is value to each of these, but a modern B2B marketing and communications strategy cannot leave out earned media. Why is earned media so important right now? According to the 2018 Cision State of the Media Report, 59 percent of U.S. consumers said fake news is making them more skeptical of what they read and see. The political climate and questions about the authenticity of social media “news” has driven greater interest in information people can trust. Hence the so-called “Trump Bump” in subscriptions for The New York Times, The Washington Post, The Atlantic and other traditional publications. Bottom line: There are a lot of eyeballs on outlets that produce good journalism, and people trust them more than ever. Are your brand and experts there, too? It doesn’t matter if you’re a boutique law firm, a mid-size engineering consultancy or a global tech company: When your experts are quoted in a story or your news is featured in a target publication, your brand gains a boost in more ways than one. Merely appearing on the homepage of a website that gets hundreds of thousands of views per day can majorly boost your brand visibility. Even if only a fraction of visitors actually read the article, that’s still thousands of people learning about your company. And those who don’t read it? At the very least, your brand will be familiar the next time they see it. Earned media not only boosts reach, but it boosts trust. If your brand mattered enough to a major newspaper or trade publication, then it will matter to many people who trust those sources. Savvy audiences today are quicker to trust these outlets — and, therefore, your company — rather than the “news articles” their great aunt is blindly sharing on Facebook. Whenever your company is featured in a media story, there is almost always a referral link in there pointing back to your website for readers who want to learn more. 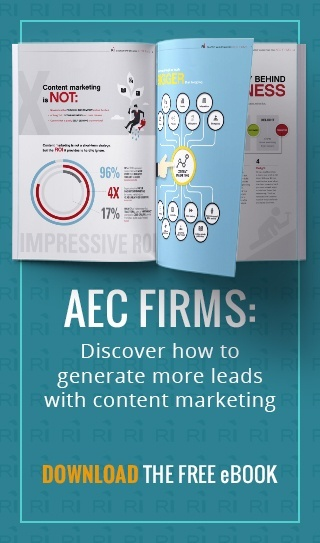 In fact, 25 to 40 percent of all traffic and lead generation comes from earned media. Brands that leverage earned media see boosted conversion rates, too. When news outlets link to your website, it improves your domain authority, a qualitative measure of your site’s trustworthiness. Sites with higher domain authorities tend to appear higher in Google search results, which ultimately means more visitors to your website. So you may be thinking, “This all sounds great, but one does not simply appear in The New York Times.” And you’re right. But you may not need to. The key is to target media outlets that are relevant to your particular audience. This is especially true for B2B and professional services companies. If you sell a solution that helps succulent growers do their jobs better, then being featured in Cactus and Succulent Journal (yes, that’s a thing) may be more valuable than showing up in The Wall Street Journal. Owned media and content marketing are still important, but these efforts must be paired with a public relations strategy to truly maximize their potential. At the end of the day, you can have the best quality content, but it won’t matter if the right people don’t see it. Consider your current budget and priorities. If you want to be where your target audience is, move your public relations efforts higher up the list or find a partner who can help you get that valuable earned media exposure.